Post-recession Americans don’t think as much about retirement as we did before 2008. Most of us realize we’ll be working hard for a long, long time. Still, every little bit helps, and for those of us lucky enough to still have 401(k)s, making them work for us is only a good thing. Unfortunately, since most of us also aren’t day traders, that means we pay almost no attention to those quarterly statements we get. Enter CoPiloted. 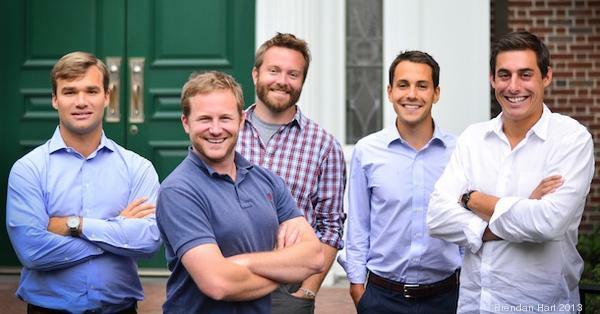 Founded in 2013, this Boston-based startup helps you figure out how to maximize your 401(k). They have an algorithm that matches your risk capacity, goals, and life stage to the funds you should be investing in. They work like a professional money manager, but at a fraction of the cost. Check out our Q&A with the CoPiloted team below, and let us (and them!) know what you think. What’s the story behind your idea? We actually wrote a blog post about this! Initially, we were designing tools for high net worth individuals and investors to use to manage a wide variety of accounts. Over time, we realized that the techniques we were developing could be applied to the retirement accounts of ‘regular’ investors. So rather than build a little business designed to help a few rich people get even richer, we decided to build a service that would benefit a much larger group, namely all Americans who are saving for retirement. And in doing so, be able to make a meaningful difference to their quality of life while saving up for, and during their retirement years. Jeremy De Bonet is our CEO. He’s led a number of tech startups including Skyward Mobile, MobiTV, and Assemble Media. He’s got a BS in Applied Mathematics from Columbia, and a MS in Computer Science from MIT. Michael Bolotski is our CIO and, as an SEC registered Investment Advisor Representative, has fiduciary responsibility for all CoPiloted clients. He holds a number of patents, and has held positioning at MicroDisplay, Human Capital Fund, Skyward Mobile, and Evri. He earned his PhD from MIT. Tina and Jeremy are based in Boston. Michael is located in Seattle. From research we conducted last year, we know that people don’t manage their retirement plans properly — or at all. It’s due to a combination of factors: lack of expertise, general inertia, lack of time, and the prohibitively high cost of professional assistance. Regardless of the root cause, the effect is the same: retirement accounts get neglected, and don’t grow anywhere near as much as they should. The potential growth over lifetimes of savings is simply lost. CoPiloted fixes this with a completely turn-key solution. CoPiloted measures a user’s risk level, selects appropriate investments, determines when to buy, sell and rebalance their accounts, and can actually make the transactions on their behalf. We launched our free service in August, 2013, and on January 1, 2014 launched our Managed Accounts service, which not only provides users with recommendations of which funds they should own, but makes those trades for them inside of their account. The “Must-Attend Conference for Entrepreneurs” Everywhere Else Tennessee is headed back to Memphis this Spring. We’re releasing the first 50 tickets for 50% off exclusively to our newsletter subscribers on Jan 14th. Don’t miss your shot by signing up here! peerTransfer is a prime example of a startup from everywhere else. The Boston company solves a problem most of us didn’t realize was a problem: it’s difficult and expensive for international college students to transfer money to pay their tuition. Earlier this week, peerTransfer announced a $6.2 million Series B-1 from current investors Spark Capital, QED Investors, Devonshire Investors, and Kibo Ventures. The most recent round brings its total fundraising to $21.2 million. Their seed round in 2010 included Spark Capital and Dave McClure’s 500 Hats. The idea for the company came from a problem its founder experienced firsthand. In 2008 Iker Marcaide was admitted to graduate school at MIT, but when he arrived on campus he discovered his tuition payment was lost somewhere between Spain and Massachusetts. The process of transferring money from a student’s home currency to American dollars was already expensive and time-consuming. When it’s thousands of dollars for tuition payments–and it gets lost along the way–the problem obviously becomes a big one. The peerTransfer team has partnered with universities to provide international payments. Students transfer their tuition payment to peerTransfer, who combines it with the payments of other students. They can then negotiate a better exchange rate for everyone. Then, peerTransfer sends the money to the respective colleges. An online dashboard lets students track where their payment is in the process, and the money is guaranteed to be delivered quickly and in the right amount. Before peerTransfer, students would deal with their local bank, which didn’t always give the best exchange rate. They also added hidden fees, and if the money made it to the right university, it was often in the wrong amount. In November, it was reported that the number of international students coming to America had grown to a record 820,000. With that many students needing to pay their tuition, peerTransfer has found a big market that has been serviced by outdated technology and systems. The challenge is signing up universities. They do already have 350 schools in the system, including Penn State, University of Massachusetts, and–the founder’s alma mater–MIT and the platform is free, but things move slowly in education. The Sharing Economy Moves Into…Fashion? A couple of years ago that exact thing happened to Amrita Aviyente while she was in India for a high school reunion. She ended up buying really expensive shoes that she had very few occasions to wear after that trip. 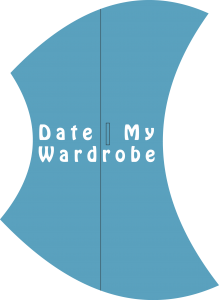 She’s particularly excited about the social component that’s possible with Date My Wardrobe. You’re in a new city, need some shoes, and suddenly you find yourself meeting someone with your exact taste in fashion. The team–which also includes Izi Aviyente and Chetan Chawla–piloted the beta during the Boston Lean Startup Challenge. They were in the top 5 teams in this year’s class, and are now busy working on the updates they want to make to the platform. Those changes will be easy to implement quickly because two of the three founders have technical backgrounds. They are working on a payment platform (right now they use Square Cash) and hope to launch on mobile soon. Competition, obviously, comes in the form of just buying something when you need it. However, there’s also New York-based Rent the Runway, which has an inventory of used designer items for rent. There’s also DC-based SnobSwap which works as an online marketplace that lets you buy, sell, or swap clothes. Neither of those companies are strictly peer-to-peer like Date My Wardrobe, but some people will prefer that. While it’s fun to think about sharing clothes, it could potentially be a little creepy. Of course, staying in someone’s home or getting a Lyft from a stranger could be creepy, too, and those things are doing all right at the moment. Buzz aside, the sharing economy is still in the early days, and there is plenty of room and time to grow. Amrita and her team plan to be a part of that. They are looking to 2014 to be a big year for Date My Wardrobe. 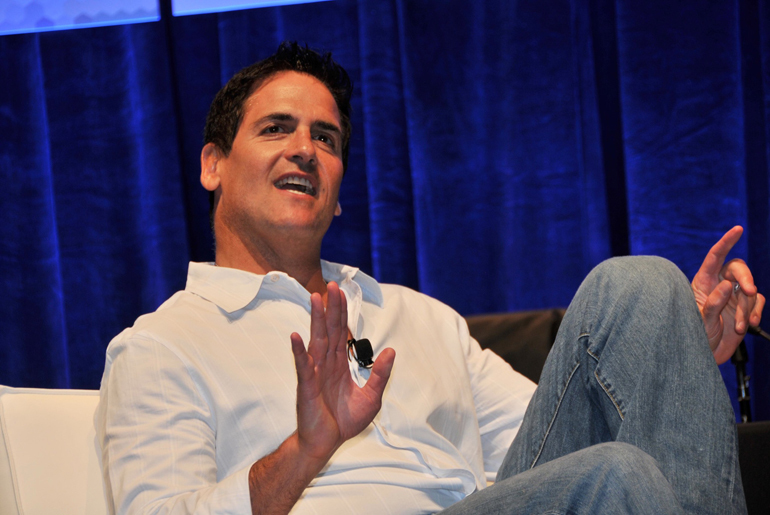 Just yesterday we reported on Mark Cuban’s two most recent investments. Now we have a third. Back in July we reported that Mark Cuban had backed Harvard startup Tivli, a company that brings live TV over the internet to college students. The company allows college students to view their live TV content over any connected device no matter where they are on campus. Well Cuban is back at Harvard investing in another high growth potential startup, again in a totally different industry. HourlyNerd, the Harvard startup, is the latest startup trying to connect MBA’s to work. The company says they have 900 MBA’s who are willing and ready to work for small businesses on an as needed basis. The service is ideal for “small businesses that want to access premier quality professionals at reasonable rates and on an ‘as needed’ basis,” HourlyNerd told the Boston Business Journal. There are a lot of MBA graduates and MBA students that upon completion (or nearly completing their MBA) struggle trying to find the ideal long term placement for themselves. There have been a handful of startups that are trying to find ways to connect these MBA’s to work, be it extremely short term or on a project by project basis like DC based MBA Project Search which we profiled back in November. In regards to HourlyNerd, Cuban said in a statement that the company “fills a need every entrepreneurial company faces,” and said he expects to use the service “heavily.” Cuban is investing rapidly in several startups that run across a variety of industries, often times outside of his direct scope. Cuban led HourlyNerd’s $750,000 round with a reported investment of $450,000. The company was founded in a Harvard University course by Rob Biederman, Peter Maglathlin, Joe Miller, and Patrick Petitti. The Business Journal notes that Accanto Partners and Connect Ventures also participated in the round. See how our co-founder Nick Tippmann directly helped Atlanta startup Badgy get an investment from Mark Cuban. Bike sharing is becoming the in thing when it comes to green transportation in most major cities. Boston, New York, Chicago, Washington DC, Atlanta, and several West Coast cities all have significant bike share programs in place. 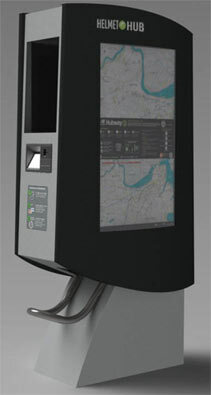 Bike sharing allows users to “rent” a bike using an automated kiosk. In most cases you can rent the bike for the day at one location and return it at a different location, kind of like Red Box. Bike sharing is perfect for when it’s pouring down rain in the morning but brightens up by lunch time or after work. You wouldn’t schlep your bike to work in the rain, but having a bike share kiosk near by means that you can get some exercise in the afternoon if the weather permits. One of the hurdles that bike share programs have encountered is safety, and more specifically helmets. Whether it’s a matter of law or just people conscious about protecting their noggin, helmets are a significant barrier to people bike sharing. Sure you could go buy a helmet and carry it in a backpack, but at that point you might as well buy your own bike, get a lock, and forget the bike sharing concept all together. Two Boston entrepreneurs, Breanna Berry and Chris Mills, are hoping to solve the helmet problem by making helmets as easy to rent as bikes. The two have developed a kiosk called HelmetHub that allows users to swipe a credit card and rent a helmet for $2 per day to go along with the bike they just rented. To test out the service, HelmetHub is being installed in four locations alongside bike sharing kiosks. When a rider rents a bike they can pick up the helmet and be on their way. According to the Boston Herald, users rent their helmets from one side of the machine and return them to another. This keeps the used helmets separate from the sterilized helmets. Each helmet is cleaned and sterilized between uses. Berry told the Herald that she hopes that HelmetHub goes well in Boston so that they can branch out to the other cities offering bike share services. We’ve been to several Startup Weekends, Angel Hacks, 48 Hour Launch events, and other hackathons. On the surface they attract a similar “type” of person: the guy or gal who sits around and codes around the clock eating pizza, drinking beer, and keeping their eyes open with 5 Hour Energy and RedBull. Justin Mendelson, the founder of a new hackathon in Boston called HackFit, is preparing to change that. In addition to coding and building, HackFit attendees will also have ample time to sleep, a variety of workout classes, healthy foods, and of course sessions for coding developing and company building. Mendelson has been an entrepreneur, product builder, mentor, and business developer throughout his career. He’s also a runner and an athlete, which is why he founded HackFit, a natural mesh of his two passions. “I’ve participated in a lot of other startup weekends because of previous ideas that I had for fitness-related startups, and I learned that the best teammates were often the ones who were runners themselves. However, I felt like any time I attended one of those startup events, I’d aged a year when the event was over. I wanted to create an active, healthy startup event system since none currently exist,” Mendelson told bostonmagazine.com. In addition to a schedule that includes ample time for fitness and team building, all of the startups created will be fitness and health related. Like most startup-building hackathons there will be a judging panel on Sunday. Participants will receive prizes from area sponsors including gym memberships. To find out more about HackFit click here. This startup event may not be so healthy but it’s gonna be a ton of fun and huge. Accelerators are great. We cover a lot of startup accelerators from across the country and around the world here at Nibletz. Accelerators are great for companies that have a product. We’ve seen a handful of wireframes and ideas evolve out of an accelerator, but typically to get your “idea” into an accelerator, you also need a proven track record. Startup Weekend is a great place to flush out an idea and start working on a prototype. But even with over 700 events worldwide, some people can’t get to Startup Weekend. Others want to develop their idea a little more intimately and without presenting it in front of a group of strangers. For those idea-preneurs there’s Firefield. The team behind FireField started as a company building internal web applications. They quickly realized through this process that there were a lot of other people in the same boat that may not have the access to the same resources they had. That is, people with great ideas and nowhere to go. Firefield pivoted to an external facing company that wanted to help people with ideas become real startups. Now, they offer an online accelerator with access to curriculum, mentors, designers, developers, and people who’ve actually been through the startup process. The program lasts 16 weeks and has a rolling start, meaning you can sync up with the Firefield team and program when you’re ready. Traditional accelerators ask for a huge commitment from founders. Most founders who get into an accelerator think about one thing and that is getting into the program. Once they’re accepted they worry about the little details like taking a sabbatical from their day jobs or quitting altogether. They also take a risk in relocating. Some accelerators have temporary housing worked out, but other accelerators require teams to rent a place to live. Since most rentals are annual so you’re moving to a strange city and getting into an year long lease. Accelerators are awesome, but there are plenty of risks. Since there’s not as much risk with an online accelerator, Firefield asks for each startup to invest $5,000 into the program so they have some “skin in the game.” That may seem expensive, but without an accelerator like this you may end up paying tens of thousands of dollars in college courses. The model seems to be working for Adam McGowan and his cofounders at Firefield. Here’s a quick interview with McGowan. Firefield offers a 16-week program that ignites ideas into early stage products. We partner with entrepreneurs, providing them with the strategy, design, and web or mobile development needed to launch. We do this for partners with funding, but we also accept equity from select entrepreneurs. By bringing a co-founder’s mentality, an ability to execute, and a proven track-record to our partners, we help build not just products, but successful businesses. Entrepreneurs come to us with great ideas that they cannot build themselves for any of a number of reasons: no technical team, limited funding, lack of experience, etc. We then work with them for 16 weeks to design, develop, and deploy their web or mobile-based application. We become very involved in their business, acting like a co-founder, and providing help in every area we can. After 16 weeks, entrepreneurs exit the program with a minimum viable product they can share with users, demonstrate to potential investors, etc. Moreover, they remain part of the Firefield network that will support them through its technical, strategic, and financial connections in the startup ecosystem. Members can enter the program by purchasing our services or by applying to be accepted in exchange for equity in their business. Adam McGowan is the CEO and founder of Firefield. He is an entrepreneur at heart, but did an 8 year stint in finance working at an investment bank followed by an upstart hedge fund — a period when he evaluated hundreds of deals, scrutinized piles of business plans, pitched investors around the world, designed and built tools he needed, and helped put billions of dollars to work. He witnessed huge successes and failures first hand. Although unconventional — as an entrepreneurial training ground — that experience was second to none, and it taught Adam what he does well and what he should leave for others. That experience highlighted problem solving, relationship building, analytical thinking, and collaborating with others as the key strengths that Adam is really passionate about. And while he’s pretty damn good at building cash-flow models too, he’s hoping to never have to do that again. Finding the intersection of his skills and passions led Adam to conceive and build Firefield. Since its inception, it has allowed him to present at conferences of venture capitalists and web innovators, take on founding-team roles with multiple upstart ventures, manage the agile launch of many interactive projects, collaborate with dozens of entrepreneurs at various stages, and foster a great team of thinkers and do’ers. In short, Adam loves creating great stuff and at Firefield, that’s happened in the form of valuable products, successful businesses, and lasting relationships. Jeremy Sewell is Firefield’s Principal Collaborator. A writer and entrepreneur, Jeremy hails from Maine and has been working in New York City for the past 11 years, where he’s taken an unconventional job path with many pivots and resets. Despite having studied creative writing and theater in college, when he arrived in New York, Jeremy took a job as a medical office assistant at the Mount Sinai School of Medicine, working for a program that provided free treatment for World Trade Center responders. Within 4 years, based on his strong writing and communication skills, marketing acumen, unique blend of creativity and organization, and ability to lead, Jeremy was named the Director of Marketing and Communications for the entire Mount Sinai Medical Center (at the age of 26), giving him the opportunity to lead a courageous team of writers and designers. Jeremy then became obsessed with the web and user experience — moving into project and account management roles at a number of prominent New York City agencies including ID Society, Domani Studies, and True North, working with clients that included American Express, Sony, AT&T, Crown Royal, Disney, and Starwood. Having produced hundreds of successful sites and projects, Jeremy brings a wealth of experience in online marketing, strategy, user experience design, community building, and interactive development to Firefield’s clients. His main focus is on getting things done, efficiently and intelligently. He believes in wireframes, but thinks most functional specs are a waste of time. He has found his groove with the agile approach he’s helped develop at Firefield. Adam is based in Boston and Jeremy is based in New York City. The remainder of our team works remotely across multiple continents. How did you come up with the idea for FireField? Firefield has evolved over time, originally starting as a venture that built its own internal web applications. Over time we realized that many other early stage companies had the same needs that we did when trying to launch products and businesses. More importantly, our skills and expertise would be really valuable to them. We tested the water and started working with one client. One turned into two, and so on. Now we’re rolling out a program to help dozens of startups. What problem does FireField solve? Startup teams get accepted into programs like TechStars only AFTER they build a great product. Investors get interested in new ventures only AFTER they start getting traction and usage in the market. But what about all those entrepreneurs with a great idea but no ability to build and launch it? In most cases these ventures stall, or more likely, fold. We want more of them to have an opportunity to succeed. Over the years, we’ve cultivated an agile team of designers and developers that can execute quickly, efficiently, and foresee issues and opportunities early on. We love putting this team to work on new projects. When we combined our team’s abilities with an entrepreneur’s vision and expertise we find so many things become possible. Our secret sauce is that when these entrepreneurs finish our program, they actually have a real product to market, sell, launch, etc. Traditional accelerator programs give you some office space, access to mentors, and maybe some cash. After that, you’re on your own. Because we take a vested interest in entrepreneurs and actually build their product with them, we don’t speed up companies, we ignite them. Too many great ideas are failing to get started because they lack the experience, technical expertise, funding, connections or all of the above to launch their product. It’s time more entrepreneurs start getting the opportunities they deserve. While he may not have been the easiest boss to work for, Steve Jobs had an incredible vision and ability to execute that inspires us. From a company point of view, we are big fans of the approach at 37 Signals, a development shop that lives and breathes the agile business and software model. We are going to continue to work with entrepreneurs to launch more successful businesses. In the future, we also hope to provide a training ground for aspiring “hustlers” or “hackers” looking to launch or join an upstart venture. Two sisters, Morgan O’Neill and Caitria O’Neill took a tornado ripping through their hometown of Monson Massachusetts in June of 2011 as a signal for a call to action. The sisters began working on a startup called recovers.org that makes disaster response smarter by providing easy to use software that empowers communities to prepare together, mitigate risk and locally match resources. They aren’t the only members of the recovers.org team that have come face to face with natural disasters. The startup’s CTO Alvin Liang grew up in Norman Oklahoma which is close to Moore where the tornado touched down on Monday. The company, which can put together a city.recovers.org site, when disaster strikes in less than two hours, went through the MassChallenge program last fall and graduated with a $50,000 “gold” win just a week before recovers.org got a huge chance for real life case study in Hurricane Sandy. Now the Boston Herald reports that Morgan O’Neill along with Liang and Chief Operating Officer Chris Kuryak are headed out to Oklahoma where they will spend several days teaching residents how to operate their relief website. Recovers.org has already seen 1500 volunteers sign up through their Moore Oklahoma recovers.org website. During the aftermath of Hurricane Sandy the startup saw 30,000 volunteers sign up using their platform. Hurricane Sandy spawned several recovers.org sites including; lowereastside.recovers.org, redhook.recovers.org, and astoria.recovers.org. Everyone is accustomed to the Red Cross springing into life when disaster strikes. Typically, within hours, others try to launch informational sites, volunteer sites and fundraising campaigns. With recovers.org already in place it allows people in disaster affected areas to concentrate their efforts on recovery knowing that the infrastructure is already in place through recovers.org. While no one wants to find themselves the victim of a natural disaster, the fact that the team has been through disasters of their own gives them “street knowledge” or the benefit of actually going through a disaster, and experiencing not only the recovery but the emotion as well. In the wake of the Boston Marathon bombings, Paul Graham turned to Watsi, and then joined their board. 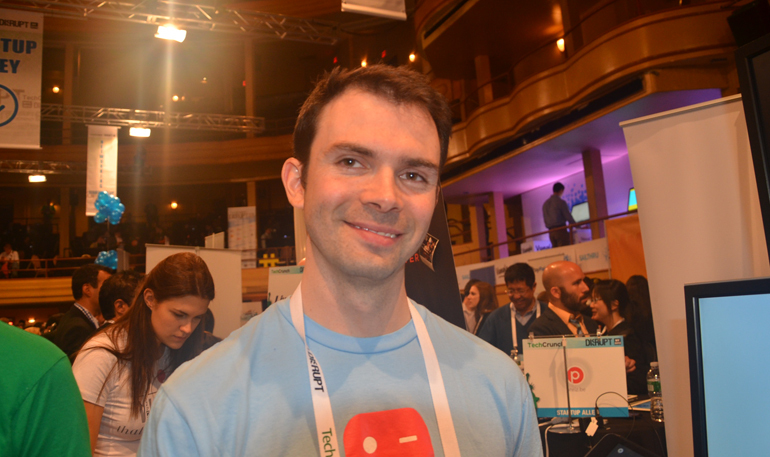 Boston startup Apptopia is another startup we’ve been tracking for quite some time. We first brought you the story about this company that helps app developers actually sell their apps and app businesses, back in March of 2012. While app markets seem to be a dime a dozen these days, Apptopia is not an app market at all. Apptopia allows developers to take their developed app projects and sell them for whatever reason they want. Perhaps they just got a thrill out of creating something and they’re ready to move onto the next idea. Or maybe developers are just creating apps to sell in a marketplace like Apptopia. The vision for Apptopia caught the eye of ABC Shark Tank shark, and investor Mark Cuban, who likes to invest in original ideas that can cause a disruption. Cuban led the startup’s $1 million dollar seed round. Last October we reported that Apptopia had cleared $25,000 in sales. Last week the company reported that they had participated in over 275 app acquisitions which amounted to over $1 million dollars in sales. With growth like this in an entirely new market, Apptopia was named one of the “World’s top 10 most innovative companies in mobile” by Fast Company. Apptopia isn’t just like “ebay for apps” they have a sophisticated algorithm built into the background that is able to take an apps current downloads, ratings and other metrics and triangulate it’s current valuation, to project future earnings. “Take the popular app Temple Run, for example. Apptopia’s unique algorithm uses public data about Temple Run (245.7 million downloads, 4.7 million ratings) to triangulate its current valuation ($41.2 million) and project future revenues ($11.2 million over the next six months). Apptopia can perform this analysis on any app, making it an extremely useful tool for developers and investors alike.” an Apptopia spokesperson told us by email. While there are hundreds of startups in the jobs space, Boston startup CareerApp has a totally different approach. They aim to give job seekers the building blocks to success. Building blocks are the foundation to the app itself. These 15 building blocks give a round picture of the overall candidate. The blocks are also extremely thorough. This allows the user, or jobseeker, to complete a detailed profile and then through one click, send that complete picture to jobs they want to apply for. Phoebe Farber, the founder of CareerApp told nibletz.com in an interview that the next piece they are working on is a tool for career fairs. By working with the producers of job/career fairs, CareerApp can allow on-site candidates to quickly apply to each job or career they are interested in, while they are at the career fair. This is going to save both job seekers, and recruiters a ton of time. It’s also green-er. We got a chance to interview Farber, who was named “Ms. Future Business Leader” in 2009. She says she’s still trying to live up to that name. 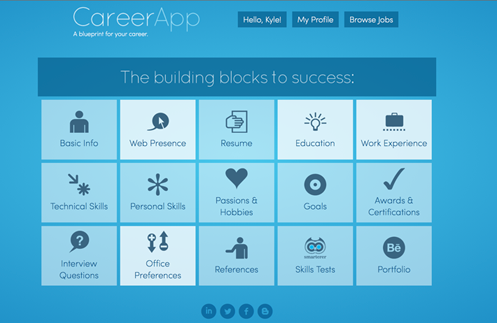 CareerApp is the “Common App for jobs” – candidates create a single, strong job application and can apply to multiple positions with one click. Our focus is to allow new grads to showcase their past achievements and positive traits, in and out of formal work experience, and express their potential. Employers then receive a robust application and also have the opportunity to search the candidate pool to find candidates. We don’t believe that a resume is enough and we’re addressing pain points for candidates and employers. We’re also just starting to build a Career Fair tool that’s centered around CareerApp and helps students and employers connect before, during, and after the event. So we’re excited about all that’s ahead! 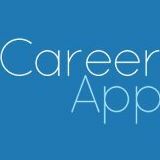 You can visit our site, CareerApp.me, register, and complete our well-rounded application. We bet that it’s not like any other job application you’ve filled out! From there you can share the profile that’s generated and/or go apply for jobs at participating companies. We’re also building out a mobile app that should launch in the fall with our Career Fair product. 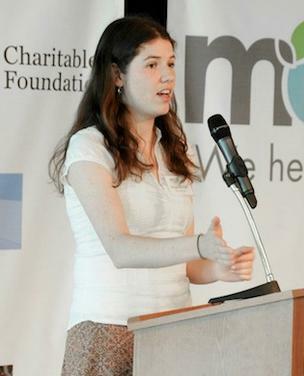 Phoebe Farber is the Founder & CEO. She grew up in scenic town in “upstate” New York – as true New Yorkers would call it – although the sleepy town of Carmel is about an hour north of NYC. As a child and young adult she was heavily involved in Tae Kwon Do where she earned my 3rd degree black belt and over the course of 8 years learned discipline, respect, and a passion for sales and business. She was active in the Future Business Leaders of America all through out high school and had the honor of serving as a NY State Officer for two years. She met the most amazing people there and stay involved with the state organization to continue working with officers and helping out in any way she can. FBLA helped set the foundation of her business skills and her crowning achievement was winning Ms. Future Business Leader in 2009- an award she is still trying to live up to. 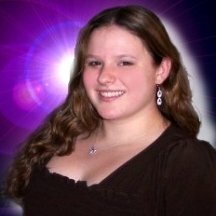 In late 2011, she got the idea that if there could be a Common App for college that there could be a parallel for entry level jobs, and she started Prospective Plus and the CareerApp. She is currently working on her venture full time as a senior at Northeastern University and will graduate in December 2013. Jake Wood is the Co-Founder & CTO, Jake has been writing code since he was six, back in the days when Visual Basic was somewhat popular. Nowadays, most of his work has been in enterprise web development, creating solutions for the finance, insurance, and airline data industries. He is a junior at Northeastern University, and has over 2 years of technical internship experience under his belt, in addition to the first-hand experience of starting a non-profit radio station at his high school, as well as other local business endeavors. When not trying to start something crazy successful, Jake likes rock climbing, hiking, and camping in his home land of Colorado. Phoebe and Jake are students at Northeastern University, so the company is based in Boston, MA. Boston has an amazing start-up culture. There are over 100 start-up’s coming out of Northeastern alone with a great venture accelerator and the #6 best Entrepreneur’s Club in the country. Boston is a hub for investors, successful start-up’s, networking and learning events, and much more. It’s definitely one of the top places in the country to be when starting a country. 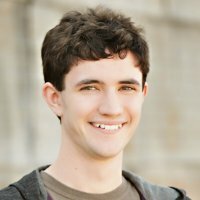 How did you come up with the idea for CareerApp? I was applying for my second co-op and just spreading my resume around. Even with what I considered a polished resume and the experience I had – I was still getting passed over for interviews for amazing positions. I had an immensely frustrating week where I had 6 interviews in 4 days with no offers, so I started applying to jobs on career portals and searching through job boards. After a couple hours I was left with a headache and was confused about why we needed to fill out different applications for each job. This issue was solved for college applications when the Common App came about I wanted to see if the same could be done for entry level jobs. What problem does CareerApp solve? We are offering a gateway for new graduates and employers to meet for potential employment. Employers today are not getting enough information from a resume and have no way to access that necessary information. We make it easier for qualified candidates to offer more information about themselves and get to that initial interview. Also, a lot of start-up’s and SMB’s are currently accepting applications via email and CareerApp allows them to organize their available jobs through our platform. Our technology can also multiple applications – like accepting applications for temp agencies and staffing firms, a portal for VC portfolio companies, and a Career Fair tool. What’s your secret sauce, what makes you different? We’re a very passionate, persistent, and curious team. We’re always learning, meeting new people in the industry, and looking to see how we can go to market. We’ve also had it drilled into our heads for the past several years what employers are looking for and how we can express our potential to compensate for our lack of formal work experience – so we’re interested in solving this problem. There is also a lot of innovation in this space as the archaric and intensely new solutions compete fiercely. Professional networking, the resumes, interviewing, and more are all growing and changing and now seems like a feasible time to change things up. Have you faced any challenges specific to being a woman founder? This is a tough question. Since I’m still in college, I’m not married with kids so I haven’t faced any of those work/life balance issues. I think that I’m still figuring out how to be in certain situations and how to be likable and confident while pursuing my professional goals, which I consider a female founder challenge. We’re also fundraising and I see that few investors are women and as a non-technical female founder I might face an uphill battle. Overall, I haven’t faced any true discrimination and think that my journey is like any other entrepreneurs’ – I’m working on myself as a young professional and my product and learning as I go. I was offered a scholarship to go on co-op for myself, so that gave me 2 wonderful assets- time and money. I’ve also brought on a great co-founder, so after working on this venture solo for awhile, I now have a great team. We also launched and got our first students and companies involved in the site – so that’s been great. Seeing that people are interested in what we’re doing is very encouraging. Right now we’re looking to be accepted to a summer accelerator – the mentorship, capital, and incubation would be amazing at this point. We’re also fundraising and looking to build our team and advisory board as we focus on biz dev. I really respect successful entrepreneurs – people who started amazing companies and either exited them, stayed on to grow them, or left to continue on as a serial entrepreneur. People such as Reid Hoffman (Co-Founder of LinkedIn), Jeff Taylor (Founder of Monster), Jeff Bussgang (Co-Founder of UPromise, General Partner at Flybridge Capital Partners), Dave Balter (Founder of BzzAgent, Co-Founder of Smarterer, Co-Founder of Intelligent.ly), Seth Godin, Dharmesh Shah (Founder of Hubspot), Art Papas (Founder of Bullhorn), and more. I also have several female business role models such as Ivanka Trump (EVP of Dev. and Acquitions at Trump Org. ), Sheryl Sandberg (COO of Facebook), and Barbara Corcoran (Founder of The Corcoran Group). I’ve enjoyed reading these people’s books and blogs, article about and by them, and, in some cases, got to meet them. They’re all so creative, knowledgeable, insightful, intelligent, and innovative and I look up to them as I begin my professional life. Check out these great startup interviews at nibletz.com the voice of startups everywhere else. 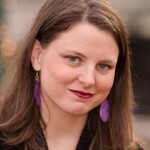 Last April we first started reporting on Ann Arbor Michigan startup Fetchnotes. This startup was born out of the University of Michigan which is where Co-Founders Alex Schiff and Chase Lee met. While they are tons of note taking apps available, Fetchnotes secret sauce is that the app is based on how the user takes notes rather than having the app dictate how notes will be taken. 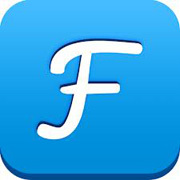 Fetchnotes allows the user to organize their notes by hashtag. The user can use any hashtag methodology they want and they can categorize notes with multiple hashtags. For instance Schiff explained that if he wanted to write a note on me he could code it email, nibletz, SXSW and I would be on his list of people he met at SXSW, he would know I’m from nibletz and that he should email me. Fetchnotes is no longer a Michigan based startup. They relocated to Cambridge Massachusetts after going through the last session at TechStars Boston. 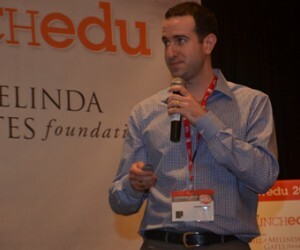 We got the lowdown on what’s new and exciting with Fetchnotes from Schiff. Check out the video interview below. Find out more about Fetchnotes here.